The cover screams chick-lit at me which is rather misleading. Whilst the book starts of with a Florentine romance, I feel you'd be disappointed if that's what you're wanting. The relationship comes across as slightly impersonal and a little cheesy at times, in part due to Victoria's use of words like “effulgent” to describe her love interest. If ever a word should be retired from the English language, I think that should be top of the list. Bear in mind that it is a foodie memoir and not fiction and you'll start with the right expectations. If you can get past the author's descriptions of her on/off boyfriend, Gianfranco, you'll get to the good stuff, the descriptions of food. If you don't enjoy reading about food and don't want to know about a stranger's love life, there's not much left to recommend this book. 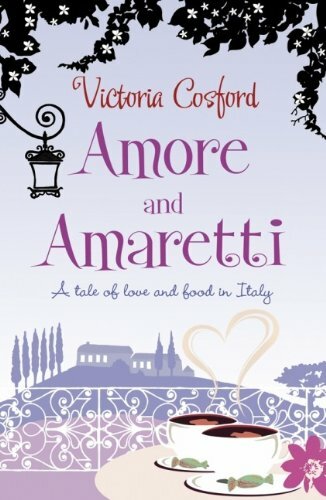 If you've visited Florence or the Tuscan countryside, this book may bring back some fond memories or it could be a nice read before you visit to introduce you to the local cuisine and atmosphere. There are recipes dotted around the book too, standard Tuscan cuisine including one for that fantastic rabbit sauce they tend serve with pappardelle. Confusingly, they often appear in the middle of passages when they'd be better placed at the start or end of each section. I think the book improves nearer the end when the rose tinted glasses come off.